Terra D'Agua is a long term and independent film project. We are a young couple bound to circumnavigate the globe on a sailboat. We wish to keep finding inspiration on the people searching happiness for themselves and for the world on their own ways. Sharing simple and earth friendly lifestyles through stories is one of our goals. The Philippines and China have agreed to diplomatically solve the ongoing naval standoff in the West Philippine Sea even as both countries insist that the disputed Scarborough shoal is part of their respective territories. According to an Associated Press report, Philippine Foreign Affairs Secretary Albert Del Rosario and Chinese Ambassador to the Philippines Ma Keqing have “resolved to seek a diplomatic solution to the issue”. Philippine President Benigno Aquino III also expressed his belief that the impasse will be resolved without violence. “China has said let us resolve it through consideration of the international laws that govern such situations. And they agree that UNCLOS is part of that. We are both signatories to UNCLOS. No one will benefit if violence erupts there. So we are hoping that [resolution] will happen,” Aquino was quoted in a Rappler article. The president, however, said that the Philippines will assert its sovereignty over its territories. “What's important is to protect our sovereignty. We cannot just give it away. And we have no one to rely on, of course, but ourselves. Given this, we talked with all those concerned–the Armed Forces and even the Coast Guard–so that the so-called 'Rules of Engagement' will be clear, to ensure that there would be no eruption of violence,” he said. The naval standoff began on Tuesday when a Philippine Navy team inspected Chinese fishing boats in the Scarborough shoal (known in the Philippines as Panatag) and found illegally collected corals, giant clams and live sharks in one vessel. Two Chinese surveillance ships, identified as Zhonggou Haijian 75 and Zhonggou Haijian 84, blocked the Philippine Navy's BRP Gregorio Del Pilar from approaching the fishing boats and arresting the fishermen. The Philippines and China have since filed diplomatic protests over the alleged intrusion of the other party in their respective territories. “We made solemn representations to Manila on the Philippine warship and surveillance vessels harassing China's fishing boats and fishermen in a lagoon in China's Huangyan Island in the South China Sea," Liu said. The report added that the Chinese fishermen who sheltered in the area because of bad weather were harassed by the Philippine sailors who boarded and inspected their ships. China called on Manila "not to instigate new troubles and incidents, and make joint efforts with the Chinese side to create favorable conditions for the sound development of relations between the two countries." The Scarborough shoal, which is claimed by the Philippines, China and Taiwan, is one of the many territories in the West Philippine Sea that is disputed by several countries. It lies 124 nautical miles west of Luzon and is considered by the Philippines as part of Zambales province. In China, the area is administered from the Hainan province. The shoal, which is believed to be sitting on top of vast mineral and oil reserves, is regularly patrolled by Chinese and Philippine vessels. In the past, scientific expeditions were also conducted in some of the islands and reefs. 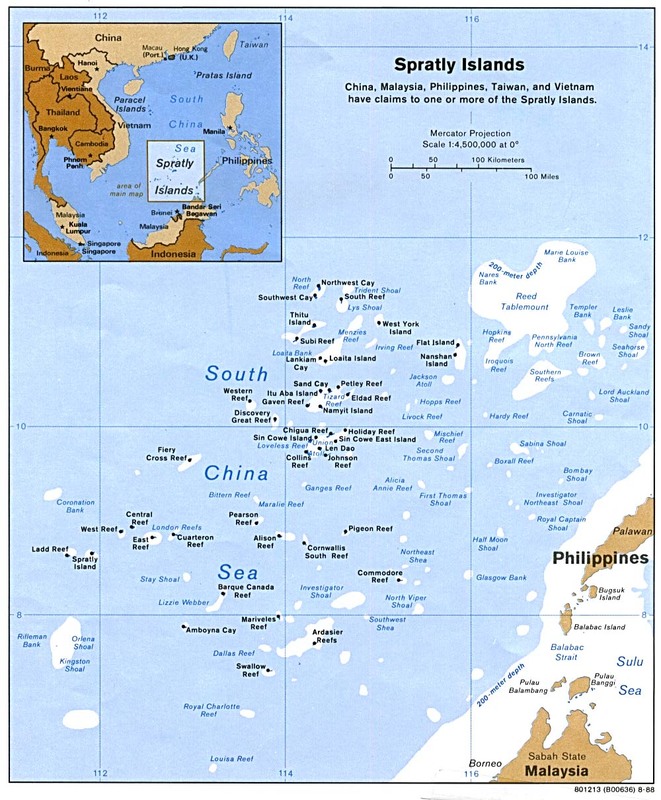 The area is not a part of the more popular Spratlys archipelago, which is claimed as a whole by China, Vietnam and Taiwan, and in part by the Philippines, Brunei and Malaysia. The Philippine claims the Spratlys is considered a part of the Palawan province. The Philippines justifies its claims with the United Nations Convention on the Law of the Sea (UNCLOS) which states that any territory has special rights to over exploration and utilization of any marine resource provided that it is within 200 nautical miles from the territory's coast. China, meanwhile, uses a “nine-dotted line” map to annex almost all territories in the region to their country. The Chinese justifies their claim using historical documents which shows that they have governed the region ever since the establishment of the Qin and Han dynasties several centuries ago. The incident came a few days after announcement of planned “fun games” between Vietnam and the Philippines in the Spratlys. Recently during the meeting of the Association of Southeast Asian Nations (Asean) leaders in Cambodia, Aquino renewed his government's offer to hold a Spratlys summit in Manila. Over the past year, the tension in the region has intensified following reports that the Chinese government will use its military dominance to bully other countries that have claims in the West Philippine Sea territories. The Chinese Ambassador to the Philippines has since denied that they intend to use their military force in the territorial disputes in the region. A giant Pacific octopus rests among anenomes and sponges at 1,132 feet deep along Pribilof Canyon in the Bering Sea. Footage from an expedition to some of the deepest seafloor canyons on Earth has revealed that life thrives in the darkness, as well as the toll that industrial-scale fishing is likely taking there. Evidence of bottom trawling, as seen at approximately 1,000 feet (300 meters) deep by manned submersibles during undersea research of Pribilof Canyon in the Bering Sea. A Greenpeace-sponsored expedition sent a manned submersible and remotely operated deep-diving robots to areas of the Zhemchug and Pribilof canyons, in the middle of the Bering Sea, after concerns over large-scale trawling and fisheries action in the region prompted calls for greater U.S. government protections for local marine life. The vast canyons were likely carved by river sediment when sea levels were lower during the last ice age, and were utterly unexplored. Zhemchug Canyon is 99 miles (160 kilometers) long and, by volume, 2,040 cubic miles (1,800 cubic km) — about twice the volume of the Grand Canyon. Pribilof Canyon is far smaller, but still enormous at 93 miles (150 km) long and 300 cubic miles (1,300 cubic km) in volume. The expedition was focused largely on learning about deep-sea coral abundance and diversity in the canyons, according to Robert J. Miller, a research biologist at the University of California Santa Barbara's Marine Science Institute, and lead author on a paper (Structure-Forming Corals and Sponges and Their Use as Fish Habitat in Bering Sea Submarine Canyons) published in March in the online open-access journal PLoS One. "We found pretty significant densities of corals, higher than most places in the world, and found that fish were closely correlated with the corals," Miller told OurAmazingPlanet. Click "play" to get started. As pilot, you will be asked to click on links within the video to choose your adventure path. Have you ever wanted to drive a submarine? Or descend down deep under the sea to take a look at the amazing creatures living there? Come dive with us on an expedition into the Grand Canyons of the Bering Sea! Discover a new species and watch out for squid attacks! Miller said that other studies have shown similar things — that fish depend on coral. "But there is still some debate in the fisheries management community if coral is really a fish habitat and worthy of conservation," he said, "so more evidence is helpful to establish that." 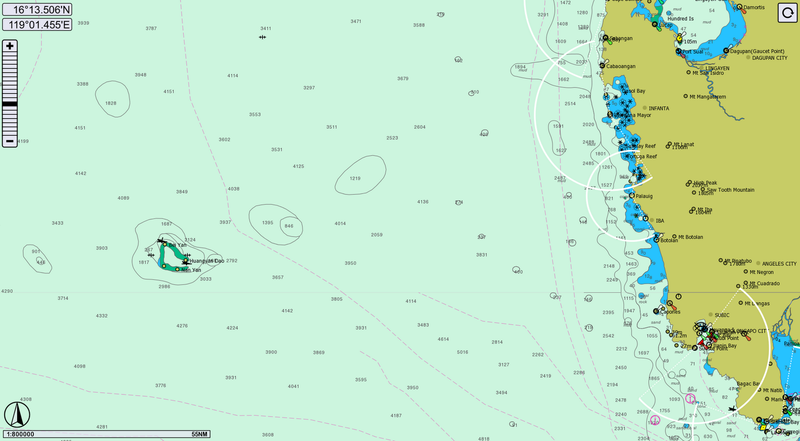 The surveys, conducted by collecting many hours of high-definition video footage of randomly selected portions of the canyons, also saw the effects of bottom-trawling on the region. Some footage revealed portions of the seafloor that looked almost bulldozed. It represented a very tiny fraction of the area studied, Miller said, adding that the damage is probably a significant source of disturbance for the corals that is affecting them. Even just a small amount of damage can have long-reaching effects, he said. Cold-water corals, which eke out a living in dark, deep waters are very slow-growing, so it takes a long time for them to recover — up to 100 years, Miller said. "So even the relatively low incidence of disturbance to the corals, given that they take tens to hundreds of years to recover, can build up really fast," Miller said. "Even if you're only disturbing a small percentage of the population every year, if you do that for 100 years, then nothing is going to be recovered." The surveys also found that boulders and rocks served as valuable habitat for fish in the canyons. A deep submersible, piloted by Greenpeace's John Hocevar descends to the deep as a Dalls porpoise swims overhead during undersea research of Zhemchug Canyon. The expedition explored the area in 2007, and researchers have published several other papers on the data gathered. However, Miller said the deep-sea dives only just scratched the surface. "These surveys really represent a tiny portion of the canyons, so we're kind of excited about what else could be out there," he said. PACIFIC OCEAN (Nov. 17, 2011) The decommissioned Spruance-class destroyer ex-Paul F. Foster (EDD 964) conducts a successful demonstration of shipboard alternative fuel use while underway in the Pacific Ocean on a 50-50 blend of an algae-derived, hydro-processed algal oil and petroleum F-76. Paul F. Foster has been reconfigured as the Self-Defense Test Ship to provide the Navy an at-sea, remotely controlled, engineering test and evaluation platform without the risk to personnel or operational assets. Launching its largest alternative fuel test in history, the US Navy's first biofuel powered ship completed a successful trip along California's coast this week. Next year, the Navy plans to unveil a number of small ships, destroyers, cruisers, aircraft, submarines and a carrier all running on alternative fuels. It will then deploy a “Great Green Fleet” of nuclear vessels, hybrid electric ships and other biofuel-powered aircraft by 2016. The first tested ship ran on 20,000 gallons of algae-based fuel in a 17-hour trip from San Diego to Port Hueneme this Wednesday—a great sign for more to come. The blend used consisted of a 50-50 mix of petroleum and a hydro-processed algal oil, produced from Solazyme in San Francisco. But the Navy is working with many other companies as well with a wide ranging variety of alternative fuel options, all competing to win supplier bids with the Department of Energy's largest oil consumer. With over $500 million invested in the biofuels industry, the Navy hopes to cut its use of fossil fuels in half over the next decade, according to Cmdr. James Goudreau, director of the Navy Energy Coordination Office. “This demo, the largest to date, is a major milestone for us. More than 50 percent of our fuel goes to maritime use,” Assistant Secretary of the Navy Jackalyne Pfannenstiel told the Navy Times. “When this ship arrives in Port Hueneme, we will be a giant step closer to powering our Great Green Fleet and demonstrating progress toward a sustainable energy future." Shortly after the ship docked, the Navy reported that the alternative fuel burned just like tradition fuel in the same engines, observing no difference in the ship's operations. Operationally, the Navy's largest demonstration of shipboard alternative fuel use was a huge success, reaffirming its overall energy strategy to increase energy security and protect the environment. In addition to the Navy's largest-scale alternative fuel demo last November, the U.S. Navy Frigate fleet ship USS Ford just completed a trip from Everett, Wash., down to San Diego in a second demonstration running on the same biofuel. Using some 25,000 gallons of Solazyme's Soladiesel blended in even proportions with F-76 military diesel, the ship completed a trip of an estimated 1,228 nautical miles, according to charts from the National Oceanic and Atmospheric Administration. The second successful tour comes after reports from November's biofuel test, in which it was reported that “there was absolutely no difference, whatsoever, in the operation or performance of the ship” using the algae-based fuel. According to Solayzme, the longer voyage from Washington portrayed similar results. "Feedback from the ship's engineers was favorable; the crew reported that operational performance of the fuel system and gas turbine engines on the 50/50 blend was...comparable to operations on traditional petroleum F-76," Solazyme confirmed in a statement. By 2016, the Navy has a set goal of deploying a “Great Green Fleet” powered entirely by alternative fuels in addition to reaching 50 percent alternative energy use overall by 2020. Of the two biggest players in the Navy's biofuels program are San Francisco based Solazyme, providing algae-based biofuel, and Louisiana-based Dynamic Fuels, providing fuel from used cooking oil and non-food grade animal fats. Scientists funded by the U.S. Navy have developed a robot “jellyfish” — a foot-long submarine that runs on seawater and could be used on spy missions. Researchers at The University of Texas at Dallas and Virginia Tech created the submarine drone, dubbed “Robojelly,” which is powered by hydrogen and oxygen in the water through which it sails. The scientists, funded by the Office of Naval Research, reported their findings this week in the academic IOP Publishing's journal Smart Materials and Structures. “We’ve created an underwater robot that doesn’t need batteries or electricity,” said Dr. Yonas Tadesse, assistant professor of mechanical engineering at the University of Texas and lead author of the study. 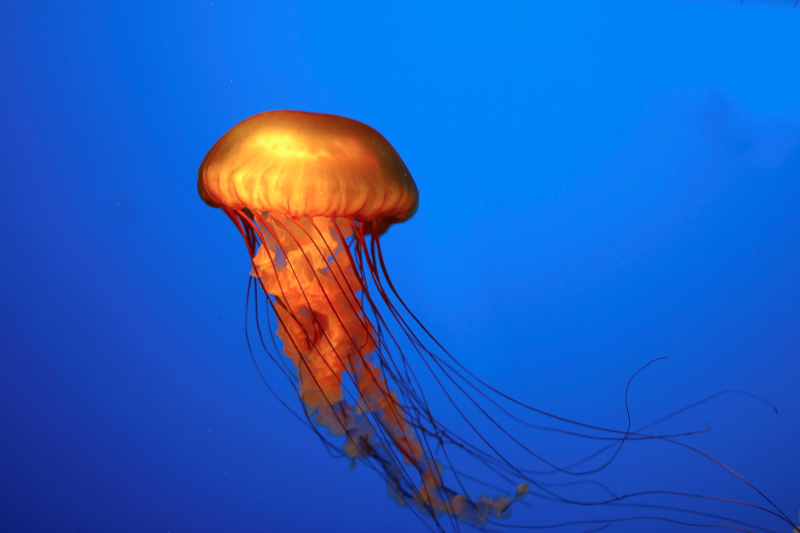 Engineers and scientists working for the military have increasingly turned to the animal kingdom, especially simple creatures like jellyfish or insects, for inspiration when creating new technology. Scientists at the Defense Advanced Research Projects Agency, for example, are working on ways to create insect cyborgs, by incorporating mechanical elements into larvae and then using them to control the fully grown insect when it emerges. The Robojelly consists of two fist-sized bell-like structures made of silicone that fold and unfold like an umbrella. Connecting the umbrella are artificial muscles created with nanotechnology that contract to move the vehicle. “It could stay underwater and refuel itself while it is performing surveillance,” Dr. Tadesse said. Take advantage of the HD video capability of your iPhone 4S/4 and bring it to the underwater world. Put the phone in the Keystone ECO MarineCase that protects the phone up to 20 ft underwater. It also protects your phone from sand, rain and snow. When you go to the pool, the beach and any watersport activities, exchange your daily phone with the Keystone ECO MarineCase for added protection. Wish you could take pictures and videos with your iPhone while submerged under 20 feet of water? A new waterproof swimsuit for the iPhone 4 and 4S keeps the phone completely dry — whether you’re snapping shots of marine life in the ocean or texting during a casual swim in the pool. iPhone case manufacturer Concord Keystone has created the Keystone ECO MarineCase, which protects against water exposure. The device also works well in any situation where water might be present, such as snorkeling, fishing, boating and rafting. The clear protective silicon cover supports the full iPhone screen and call functionality, so you can watch videos, answer email, send texts and use apps without ever leaving the water. It also protects against sand at the beach. “You don’t swim in your everyday clothes. Your iPhone shouldn’t either,” the site says. Check out the video below of a turtle swimming underwater, which was taken with an iPhone wearing the MarineCase. The mobile swimsuits are now available for $39.99 on Amazon. Ryan Hipwood is one of the new breed of Ozzy Big Wave Hellman. He basically spends his life chasing rather large swells around to tow and paddle into very scary waves. Some of his exploits at massive Cloudbreak (Fiji) and the secret slab in West Oz, almost beggar belief. World free-diving champion Tanya Streeter dives with humpback whales in the Turks and Caicos Islands as they migrate southward. Brilliant footage from BBC sea life show 'Diving with Whales'. Some tourists, in search of extreme thrills, have taken to diving with killer whales. In Tysfjord in Norway, a local diver offers tourists a unique encounter with killer whales as David Attenborough explores the safety of such an extreme sport.